Nathan Smith is one of the regular bloggers for Open Borders: The Case. He started blogging for the site in April 2012. You can access all blog posts by Smith on the Open Borders website here and read Smith’s personal statement here. Nathanael Smith (goes by Nathan Smith) is assistant professor of economics at Fresno Pacific University, School of Business. He did his Ph.D. at George Mason University, where he was influenced by open borders advocate Bryan Caplan. Smith also studied under open borders advocate Lant Pritchett while getting his MPA/ID at Harvard University’s Kennedy School of Government. Smith has also worked at the World Bank. 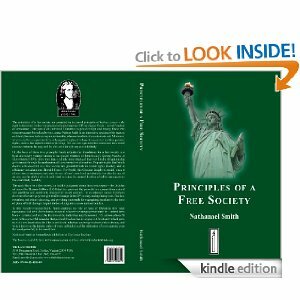 Smith is author of Principles of a Free Society (Amazon ebook). The book lays out a philosophy of natural rights. It has a chapter defending the right of free migration, particularly in the context of migration to the United States. In the chapter, Smith proposes the Don’t Restrict Immigration, Tax It scheme that combines many keyhole solutions to address the myriad objections raised by restrictionists. The full chapter can be downloaded as a Word Document or as a PDF. A Face for the Faceless, which appeared in The American. Don’t Restrict Immigration, Tax It, which appeared in TCS Daily. The blog post Open Borders with Migration Taxes are the Optimal Policy, which covers an eponymous paper by Smith, is referenced on the immigration tariffs, immigration and trade, and immigration and charter cities pages. The blog post A Meta-Ethics to Keep in Your Back Pocket is referenced at the moral case page. A comment by Nathanael Smith is also quoted at the page Killing the goose that lays the golden eggs on this website. Nathanael Smith is licensed by Open Borders Admin under a Creative Commons Attribution 3.0 Unported License.